The U.S. government has cleared Raytheon’s AN/TPY-2 ballistic missile defense radar for sale to several allies in its forward-based mode. 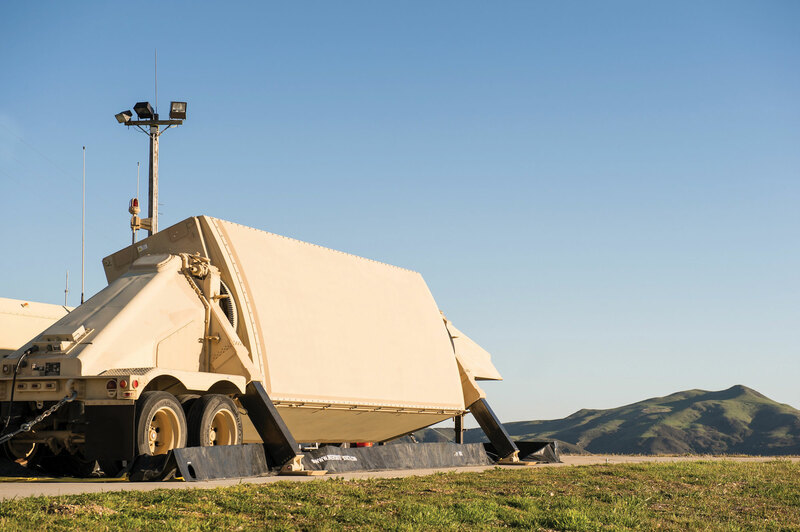 The large but mobile and air-transportable X-band radar is already cleared for export as part of the Lockheed Martin Terminal High Altitude Area Defense (THAAD) missile system. But when it can be positioned near to hostile territory, the TPY-2 can acquire ballistic missiles in the boost (ascent) phase of flight. That gives more time for air defense command and control systems to react. Additionally, it allows the radar to cue three-stage SM-3 missiles–another Raytheon product–that can perform an early or mid-course intercept of ballistic missiles. Only software changes are required to convert the radar for forward-basing. The U.S. Missile Defense Agency has already forward-deployed five of the 10 TPY-2 radars that it has acquired–to Guam, Israel, Japan, Turkey and “a country in the US CENTCOM region,” which is reported to be Qatar. Four more of the radars are under contract, two for the U.S. and two for the international customers of the THAAD system–Qatar and the UAE. Meanwhile, SM-3 Block IB missiles will be deployed on European soil for the first time by the end of this year. They form part of the Aegis Ashore system that is being installed in Romania as part of the second phase of the European Phased Adaptive Approach (EPAA) to ballistic missile defense. Phase one of the EPAA comprised the basing of U.S. Navy warships equipped with the Aegis air defense system (including SM-3 Block 1A missiles) in the Mediterranean theatre. Lockheed Martin is the prime contractor for Aegis. A second Aegis Ashore system is to be deployed to Poland in 2018 as phase three of the EPAA. “SM-3 is the only upper-tier missile, and it can intercept ballistic missiles at long range,” noted Dean Gehr, Raytheon’s director for the land-based SM-3 program. Such exo-atmospheric interceptions can defend an entire region. Gehr told AIN last month that the first test flight of the upgraded Block IIA version was “imminent.” This new version has been codeveloped with Japan, and has a larger rocket motor that provides even more range. It is the version that will be deployed to Poland, as well as on Aegis warships starting in 2018. Back in 2011, Raytheon campaigned to sell SM-3 missiles to Denmark, Germany and the Netherlands for integration with 10 warships that carry Mk41 vertical launchers–the standard launcher for the SM-3. That initiative did not gain traction at the time, but Gehr noted that the U.S. is still seeking more input from European countries to the EPAA. Those countries have deployed homegrown or American missile systems such as Patriot that provide terminal defense. Recently, the Netherlands decided to upgrade the radars on all four of its warships fo ballistic missile defense, and Denmark said it would upgrade at least one ship. But Raytheon believes that they should develop longer-range defenses. For instance, the use of a TPY-2 radar to cue the Patriot system would provide a “significant” increase in range, Tom Laliberty, the U.S. company’s vice-president missile defense, told AIN. The TPY-2 has demonstrated high availability and the “ability to discriminate,” he added. That means distinguishing decoys from actual missiles. Raytheon is also still optimistic about selling SM-3 missiles abroad, beyond the Japanese collaboration. “We’re sensing a lot of interest,” said Laliberty. Best of all, say the Raytheon officials, a combination of the TPY-2 radar and SM-3 missiles would offer international customers a “game-changer.” The effectiveness of that combination was proved as long ago as 2011, when the U.S. Missile Defense Agency conducted the FTM-15 flight test, Laliberty noted. A TPY-2 radar on Wake Island in the Pacific cued an SM-3 launched from an Aegis destroyer near Hawaii, to a successful intercept of an IRBM launched from Kwajalien Atoll in the Marshall Islands.